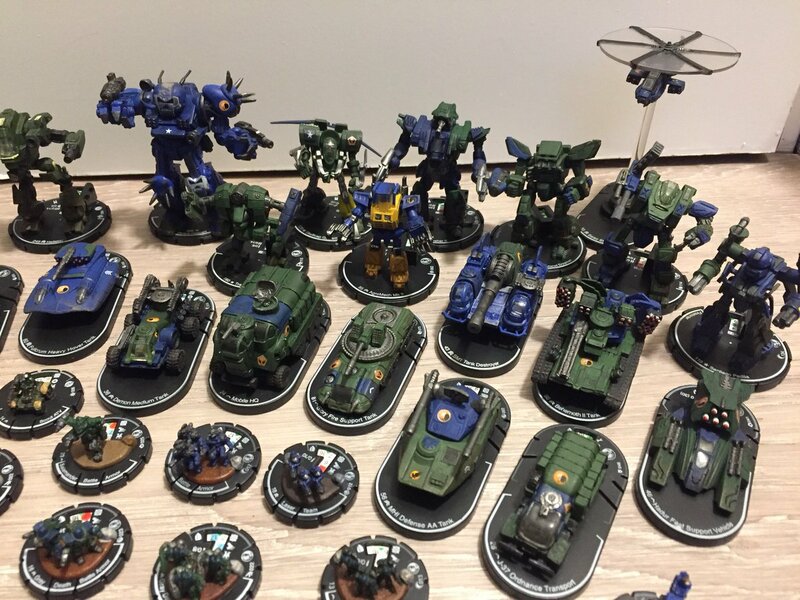 This time I’m interviewing Chris Gotcher; aspiring prop artist with a room full of homemade goodies and just now venturing into N-scale production of MechWarrior IV and MechWarrior Online versions of popular Battlemechs. Ron: Tell me a bit about your background, what got you into doing this. 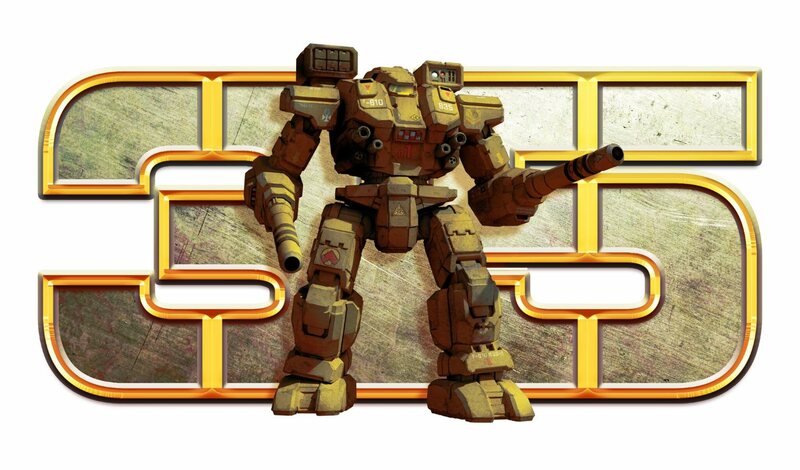 How long have you been into BattleTech? CG: I’ve always enjoyed modeling and making props. I’d imagine most folks have thought how cool it would be to hold a Pulse Rifle or a Lightsaber when they saw those movies for the first time. I realized early on that if you wanted some things, sometimes you just had to make them yourself. Lots of great movies and games just never get the merchandise. You can buy a model kit of the Falcon or the Enterprise any day of the week, but the Serenity still hasn’t had a mass-produced kit yet. A few years back I got into using 3D programs to help build 1:1 prop templates and cut my teeth on props from Fallout and Halo. It’s only recently that the 3D printing quality has really been affordable to apply the same techniques to prototype miniatures and models for the everyman. 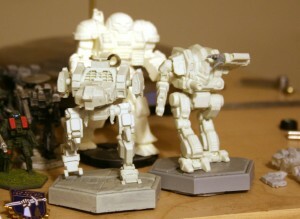 I’ve been into BattleTech since I was very small. I remember watching the old Saturday morning cartoon as a kid and playing MW2: Mercs a lot. 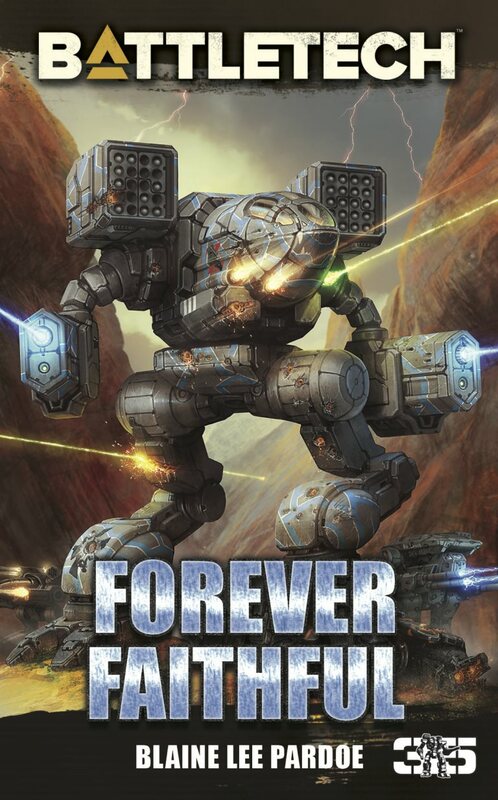 It was probably around ’96 when I got into the novels and really started to get that BattleTech had a lot more to offer than just awesome robots beating the tar out of each other. I’ve been hooked ever since. When Wizkids shut down in ’08 was when I really started to get into N-scale in a big way. I saw all those lovely DA sculpts going for cents on ebay. I saw unseens going for a fraction of their smaller metal cousins. I saw people like Spiff and RacerX rebasing and painting minis to a magnificent standard. I saw early Elfbait and orco garage kits and cheap gorgeous railroad terrain. I knew then this was my new favorite scale. Ron: Have you thought about a website for taking orders online or do you prefer to be more low-key? CG: While I strive to deliver professional quality, I don’t think I make enough kits to really warrant a separate store type setup. Each run of kits basically pays for the master print cost and molding and casting costs for the next batch. 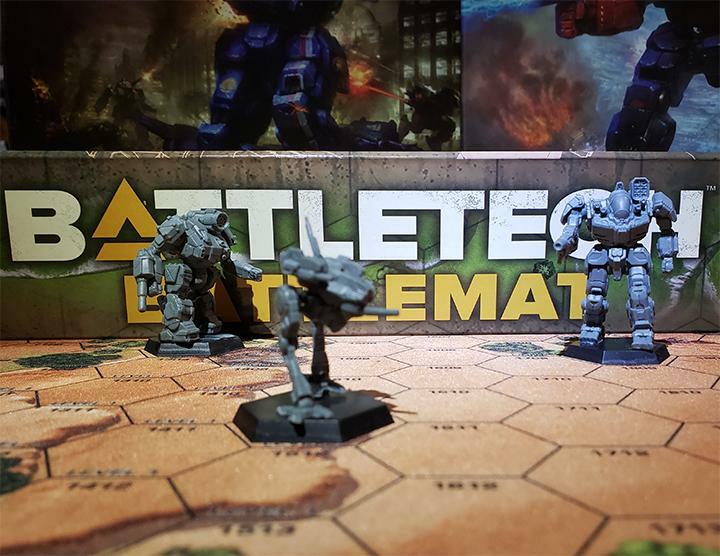 As long as Lords of the Battlefield remains the main hub for fan N-scale projects, even most fan BattleTech projects, I’m proud to work from there. Ron: Is TOPPS okay with unlicensed development of N-scale ‘Mechs? CG: One thing you learn when making props is that the people upstairs are always aware of what you do. I know most of Battle Tech’s newer and better artists like Anthony, Alex, Dave, Justin, etc. were all fan artists at first. Even one of the most eminent N-scale artists, Jeff (orko_one), does some work for IronWind now. You just try not to step on any toes and hope they view it as positive publicity for the game and a little fan support for the N-scale ‘mech line. 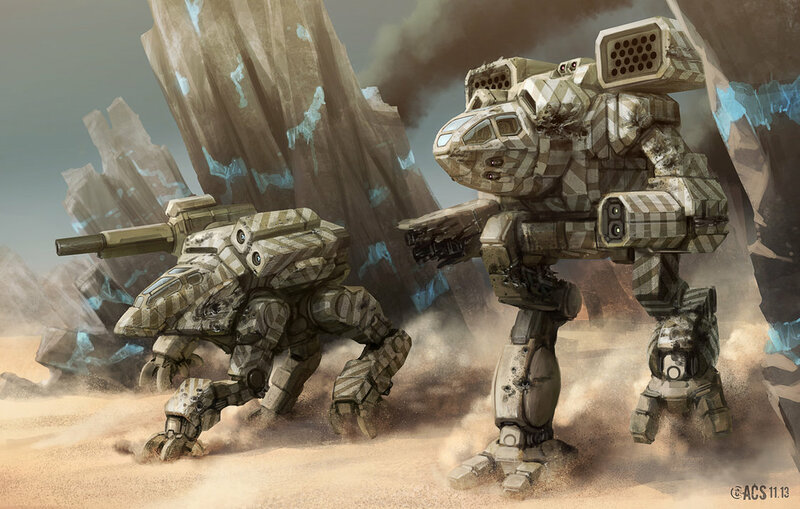 Ron: I love the look of some of the MechWarrior IV 4 and MechWarrior Online versions. Does TOPPS oversee the use of these or do the individual art teams on those games? CG: MechWarrior games since 4 have been unique in that they have their own artist’s touch. It’s impossible to deny Alex’s magic in MWO or Dave’s in MW4: Black Knight and the rest. But true video game minis have been almost nonexistent since FASA Interactive was sold to Microsoft. This is because Topps owns Battle Tech itself including mini rights and Microsoft owns all Electronic BattleTech outside Virtual World, including the game images and derivative works minis of them. Waters are so muddy that I don’t think anyone is exactly sure what it would take to get official minis, not just a double license but who gets what cut. 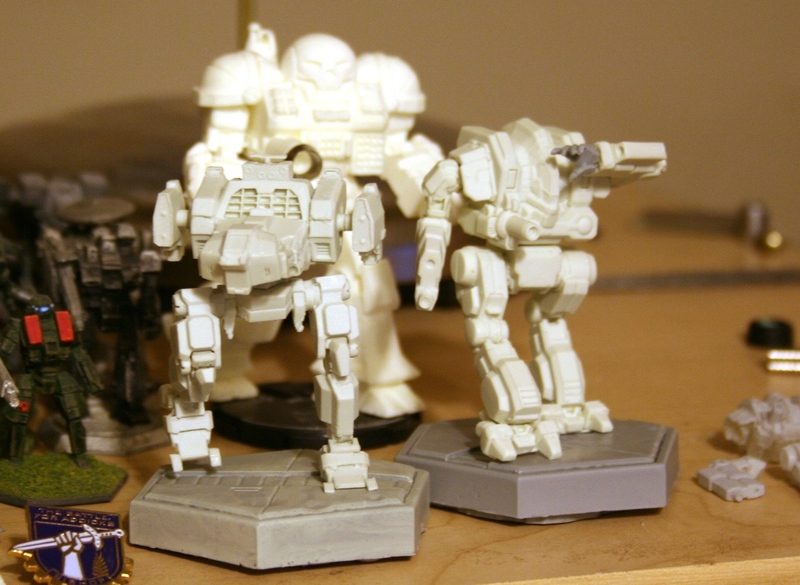 The rat’s nest of rights associated with BattleTech/MechWarrior videogame-related minis is one of the reasons I chose to do them. Odds are, if you don’t do a fan project, you’re not going to get them at all. It’s very telling that even though MW4 was extremely popular, we haven’t gotten any official minis from it in the over 13 years since its release. Over a decade ago, it took Jordan Weisman of Wizkids, who owned BattleTech, having been in charge of Microsoft’s rebranded FASA Studio and knowing the folks there personally to get tacit consent for a couple MW4’ish designs for the Dark Age game they were launching. Having the MW4 concept artists on board for the DA launch didn’t hurt either. I don’t think that kind of perfect storm will happen again. 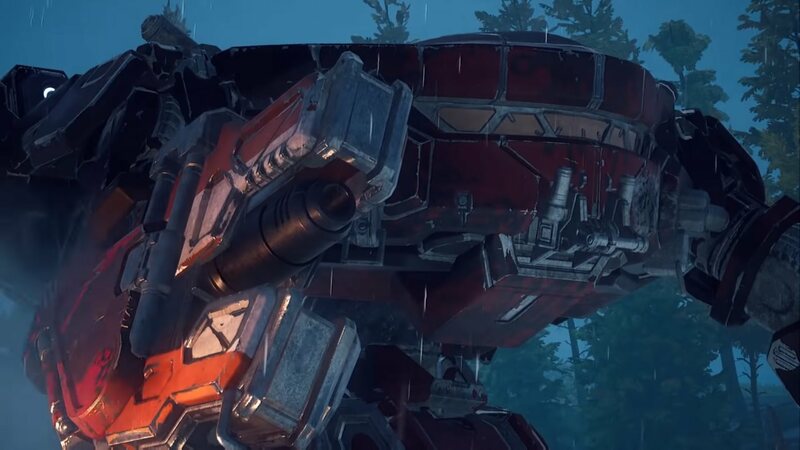 Depending on the wording of what PGI can do in their license, I hold some hope us fans may get some happy news for official MWO minis eventually. 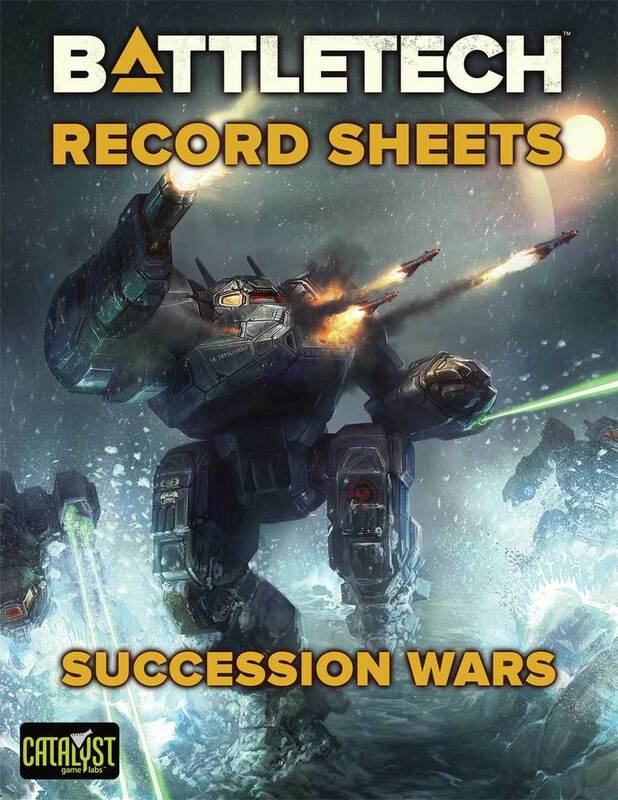 Ron: The legal minutia BattleTech and MechWarrior license holders have faced since FASA went under must make War & Peace read like the Cliff’s Notes version of Babar visits another Planet. Would you ever consider official licensing to be able to make official 6mm size as well as N-scale to get more mainstream orders? CG: I have started on a couple of 6mm projects. 3D printed masters are easily rescaled. Printing the N-scale version first lets you identify problems and tweak the model before dealing with the much less-forgiving smaller scale. What I would really love to see is IWM or Catalyst move more toward this type of production like they have with the Spectral LAM’s and Premium minis. It would be even better to expand the old N-scale lines with affordable resin minis. Armorcast showed that even with amazing quality, licensed bigger scale kits just can’t survive yet on their own. They need to be under the umbrella of one of the main lines to stand a chance. I would love to be a part of that if I can. I’m afraid that’s all for today. We’ll be wrapping up this interview soon. There’s still a lot more to discuss. This entry was posted in Community, Interviews and tagged Artists, Miniatures on 2013/05/29 by Ron. So… Does this interview mean that you can purchase N-scale Mechs? Is there any way I could purchase one of these amazing mechs? I love these so much, I have to get one! You can. On the Lords of the Battlefield, there is a subforum for garage builds. Some of the kit makes transact business there.